Last month my niece turned 4! 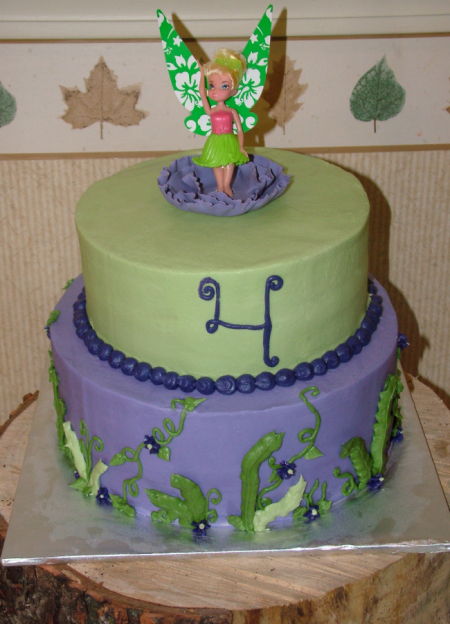 She loves Tinkerbell, so I got to make her a fairy-perfect cake. This cake is an 8″ & 10″. The Tinkerbell on top is a toy.